This is a dish we make for company or the family on special occasions. 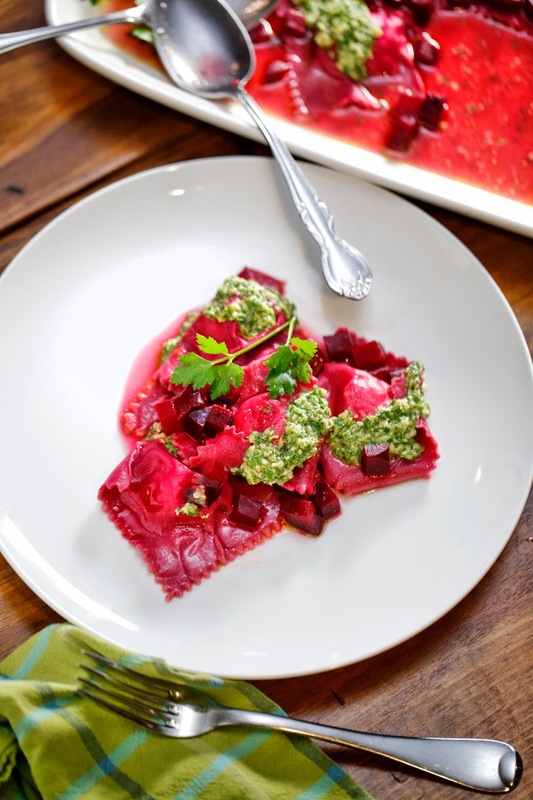 The bright and earthy pasta contrasts with the vibrant, green pesto -- both on the plate and on the palate. It's a dish that screams 'spring!' by making use of the fresh herbs, eggs, and beets that start to appear at the market in April. We don't write much about filled pastas like ravioli because they're pretty time consuming to make, and also because we're self-aware enough to know we may have a reputation for not having the simplest recipes in the world. (A common observation from some readers we meet: "So, y'all don't have kids, do you?") We'd hate to further bolster that notion about our sometimes-complicated-but-hopefully-worth-it food by asking you to put down what you're doing and make not only the filling of this ravioli from scratch, but also the pasta and the pesto sauce that accompanies it…but, hey, here we go. Just humor us and come along and see what you think. To be honest, we find this process relaxing, and possibly you will, too, just probably not the very first time you try to make ravioli. It takes about four good tries before things really start to come together, but you do learn more with each go at it. It's best to think about ravioli making as several little steps raher than one giant leap. Make the filling, make the pasta, fill the pasta, make the sauce, serve. See, it's simple! You will need some special equipment. We use the food processor a lot in the kitchen. If you don't already have one, get one! You'll also need a pasta roller. We have one that attaches to the stand mixer. It's much easier than a hand-crank, but one of those will do just fine. Lastly, you'll need a fluted pastry wheel. This is the thing that you'll use to cut the pasta. The fluted shape helps to seal the ravioli so they don't unravel in the water as they cook. Let's go on and get started, but before we begin, place a head of garlic and 4 medium beets in a covered casserole and drizzle this with olive oil. Place into a 350 degree oven for about 1 to 1 1/2 hours or until the beets are cooked through. Allow everything to cool. You'll need these things later on. If you don't have the patience for that, just pick up some good quality canned beets and some roasted garlic from the olive bar. In the work bowl of your food processor, place the cheese, garlic, egg, panko, thyme, and vinegar. Pulse until all ingredients are well incorporated. Taste and adjust the salt and pepper to taste. Scrape into a covered container and place in the fridge until needed. Rinse the food processor in order to use it for the next step. Into the work bowl of your food processor, place the flour and beets. Let it run until the roasted beet is completely blended into the flour. The result will look like magenta sand. Add the egg and blend. With the food processor running, add the water one tablespoon at a time until the dough forms a ball and runs around the container all clumped together; you'll know when this happens. Gather the ball, wrap it in plastic wrap, and place it into the fridge to rest. Rinse the food processor in order to use it for the next step. Into the work bowl of your food processor place the parsley, mint, garlic, hazelnuts, lemon juice, and olive oil. Pulse until everything is broken down but still chunky. Set aside until ready to assemble the dish. To assemble the ravioli. Roll the pasta out starting at a #1 and working your way down to a #5 on your pasta roller. (Cut pasta to fit your well-floured work surface if it gets too long.) You should end up with about four 3-foot sections of pasta dough. Using a small ice cream scoop or a spoon, place about a teaspoon of filling on one half of the large pasta sheet. Leaving about the width of two fingers between each, continue to do this down the length of the pasta. Fold the side that's without filling longways over the filling and press the pasta all around the filling using the sides of your hands. 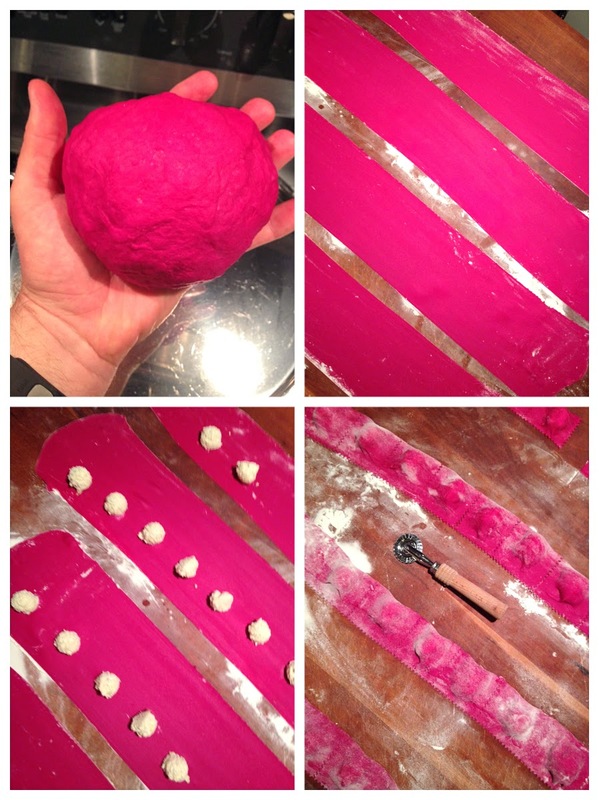 Using the fluted pastry wheel, cut the front edge off of the pasta and run it in between each lump of filling. The hinged side should be left as is. This will make about 30 large ravioli. Grab a quart container at the end of the olive bar and start filling that sucker up. First thing to remember is that you want to get the pitted olives for this dish. I don't mind a little work in the kitchen, but there is no need to put yourself through pitting a half-quart of olives when there are perfectly good pitted olives sitting right there. Second thing is to buy the olives you like. I prefer a mix of spicy calamata and large green Greek olives. You get what you like. Next, throw in a bunch of those awesome sweet pickled peppers. This will help add balance to your sauce. Lastly, top it off with a a dozen or so of the roasted garlic cloves that are always on the olive bar. You should have about a half quart of olives and about a half quart of peppers, garlic, and anything else you see that looks good. Don't cram it full, though; it should be lightly packed. This puttanesca sauce is chunky and textured. I like it like that! We serve it over Cauliflower Chops, which are just big hunks of cauliflower roasted in the oven. The stem sticks out like a bone-in pork chop so visually it's pretty cool. This sauce is also at home as a pizza sauce or over some penne pasta. It's very flavorful, so leave it as is or top it with Romano, herbs, and pine nuts if you like. Using the slicing blade on the food processor, slice the carrots, celery, and shallots and set aside. Next, using the same blade, slice all of the stuff from the olive bar: pitted olives, sweet peppers, roasted garlic. Set that aside in a separate bowl. In a large skillet over medium heat, add the olive oil. Once that starts to shimmer, add the carrot, celery, shallot mixture. Cook until softened and starting to brown, about 10 minutes. Add the wine and cook until most of the mine has evaporated. Add the sliced olive bar mixture along with the capers, Italian seasoning, and the tomatoes. Cook, uncovered, until everything is warmed through. There is no need to salt this sauce due to the salt content of the olives and capers. Carefully trim the leaves away from the stem of each cauliflower but leave the stem intact. Quarter each cauliflower starting at the stem so you are left with 4 wedges from each for a totl of 8. Place them on a parchment-lined baking sheet. Just imagine all the things you and your high school friends fought for in the Environmental Club suddenly coming true in real, adult life. That's what Project Green Fork does! Instead of banning styrofoam cups from the cafeteria like you used to dream about, they help green-up your favorite restaurants. PGF Executive Director Margot McNeeley will tell you more about that in our Q & A below. We want to tell you about a very exciting event coming up! 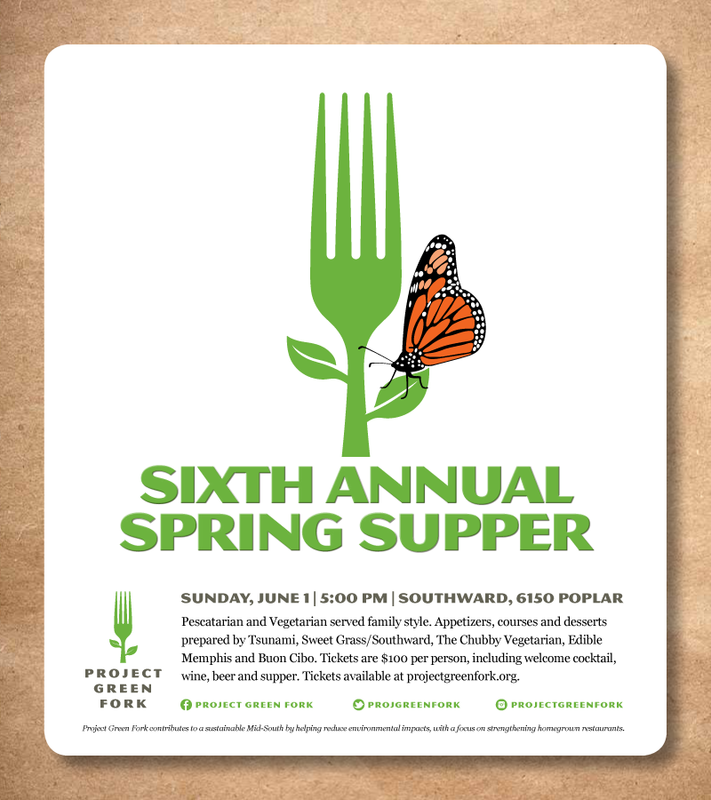 We are so thrilled to cook dinner for you at the 2014 Project Green Fork Spring Supper on Sunday, June 1st at Southward Fare & Libations (in the Regalia shopping center in East Memphis) along with the amazing chefs from Sweetgrass, Tsunami, Edible Memphis, and Buon Cibo. 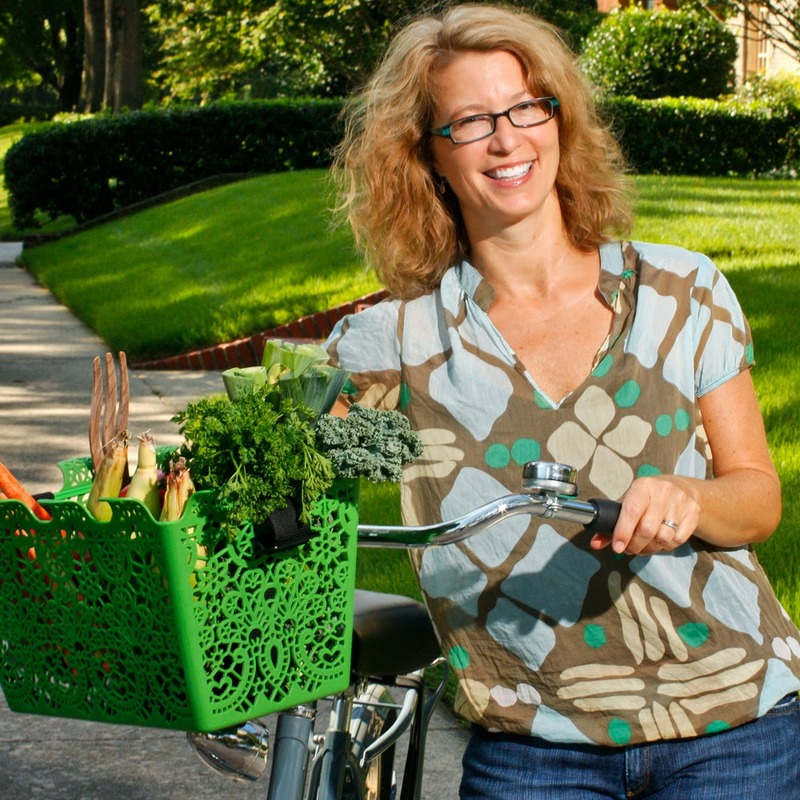 The proceeds will benefit one of our favorite local environmental groups, Project Green Fork. The dinner will be served family-style outside of Southward in the courtyard. There will be some really great food. Let me tell you, the menu came together so nicely. I don't want to spoil the surprise…let's just say it'll be a meal to remember! There will be plenty to eat for vegetarians and non-vegetarians alike, so to all you vegetarian friends, this is your chance to go to an amazing dinner and eat more than the plate garnish. You also have the satisfaction of supporting an organization that's making Memphis a cleaner and greener place. You can feel good -- and feel full! 1. TCV: For our readers who may be unfamiliar with Project Green Fork’s mission, describe it and tell us why it’s a job that's so near to your heart. MM: As a big fan of Memphis's locally owned and operated restaurants, I got tired of seeing all the trash that was generated from a restaurant meal, and I felt guilty to be contributing to that trash. And it made me curious about why restaurants weren't recycling. When I found out that the City of Memphis doesn't recycle for businesses, I decided to do something about it. Project Green Fork (PGF) was founded in 2008 with the goal of helping Mid-South restaurants reduce environmental impacts with a strong focus on strengthening homegrown restaurants. To date, our 59 certified restaurants have kept all of this out of the landfill: 1,815,880 gallons of plastic, glass and aluminum; 1,634,792 pounds of cardboard and paper; and 222,857 gallons of food waste. 2. TCV: You must have some good stories from previous Spring Suppers, Project Green Fork’s largest fundraiser. Are there any fun stories you can share with us? MM: Our first Spring Supper was in 2009 and held at Tsunami. As a small nonprofit, our budget was, and really still is, super small and was even smaller back in 2009. Trying to save money, I asked a group of very good friends to help out and serve the courses as Chef Ben Smith prepared them. While serving the third course, sweet potato and lemongrass soup, one of these good-willed friends spilled the entire bowl down our PGF attorney's back. Of course, he was a good sport about it…but that friend never waited tables again. We decided having professional servers during Spring Supper is a good and necessary investment. 3. TCV: We are excited to be cooking with some of Memphis’s finest chefs: Ben Smith of Tsunami, Ryan Trimm of Sweet Grass/Next Door and Southward, Melissa Petersen of Edible Memphis, and Katie Belenchia of Buon Cibo in Hernando, MS. How did you decide on the Spring Supper team, and what do each of these folks bring to the table? MM: I always try to include at least one PGF certified restaurant that hasn't participated in Spring Supper before, and we always aim for a new theme. We also like including people who may not cook in a restaurant but are involved in the Memphis food scene and know how to cook really well. A big part of this supper is using as much locally grown food as possible, so it’s also important to put together a group of chefs who work with local farmers on a regular basis. When I started thinking about hosting a pescatarian and vegetarian supper, the list of possible participants organically evolved. Chef and PGF Board member Ryan Trimm was gracious enough to offer the outdoor space at Southward for the event and being a big fan of his cooking, I knew whatever he decided to contribute to the meal was going to be amazing. Melissa Petersen, another PGF Board member, offered to help Ryan in the kitchen. Melissa has cooked for PGF Spring Suppers before and is not only a great cook but also a huge help organizing all the moving pieces happening in the kitchen. I knew she needed to be involved again. Chef extraordinaire, Ben Smith of Tsunami, was who we all thought of first to ask for the fish portion of the meal and the masters of creating and cooking vegetarian, Justin and Amy, were our first choices for the vegetarian part. Melissa has been telling me about the amazing desserts created by Katie Belenchia of Buon Cibo for some time now, so we asked her to create a special dessert for the supper. 4. TCV: For those who are interested, what can people do to get involved in Project Green Fork? 5. TCV: It’s a Tuesday night, nothing special, and it’s just you and Gary, what are y'all cooking? MM: My husband and I love trying new recipes from our favorite vegan and vegetarian cookbooks: The Southern Vegetarian, Let Them Eat Vegan! and Isa Does It. My new favorite vegetarian food find, is Magic Vegan Bacon Grease (thanks, Bianca!). We've been cooking with this for the past couple weeks and can't get enough of it. The other night we used it in making mushroom-nut burgers over greens with avocado. Always avocado, wherever and whenever possible. It's for sure my "stuck-on-a-desert-island-with-only-one-food-item.” That and coconut, in any form. P. Allen Smith. Last June, we made mushroom meat for tamales in the kitchen and then put together a grilled watermelon salad outside. Check it out in the video below! Post by P. Allen Smith. 'Char' is one of those buzzwords that's popping up on a lot of menus these days. It's understandable! Charring something is quite exciting. The act of intentionally burning food…whyever would someone do that? It's more common than you'd think -- even outside the confines of a fancy-pants restaurant kitchen. Take roasted red peppers, for example: charring the outside of the pepper renders a pliable, sweet, smoky, and delicious treat. So, why stop there? We need to be charring some other things, too, right? 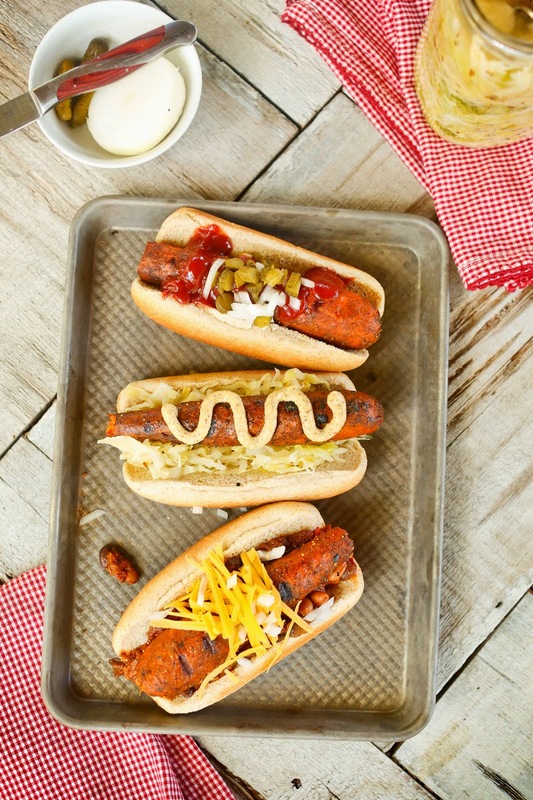 Top these dogs however you'd like: chili and cheddar with chopped white onion, or mustard and sauerkraut, or ketchup and pickle relish. Make a bunch and invite some friends over. 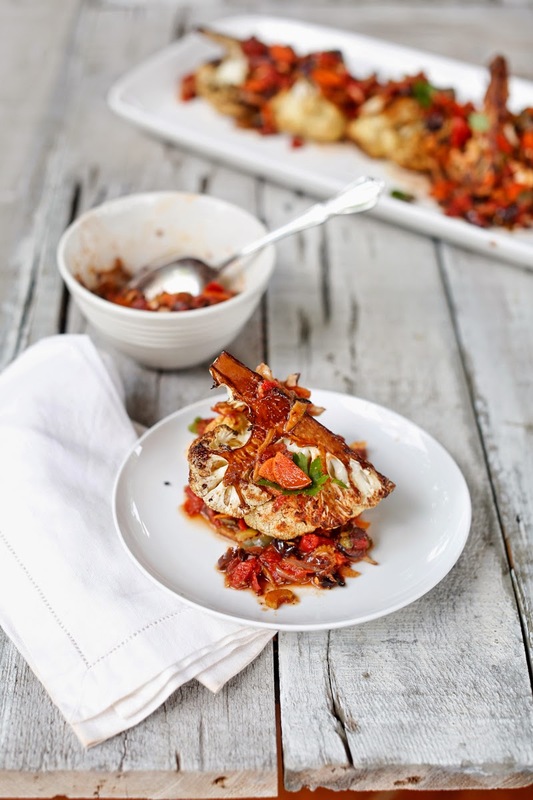 The weather is getting warmer, everyone seems lighter and happier, and we're thinking this recipe is our first in a series of the great, healthy, summer party food. Over a high flame on your outdoor grill's side burner or under your oven's broiler, char the carrots until they are deeply blackened all over. This will take roughly 20 minutes if you turn the carrots 1/4 turn every 5 minutes. 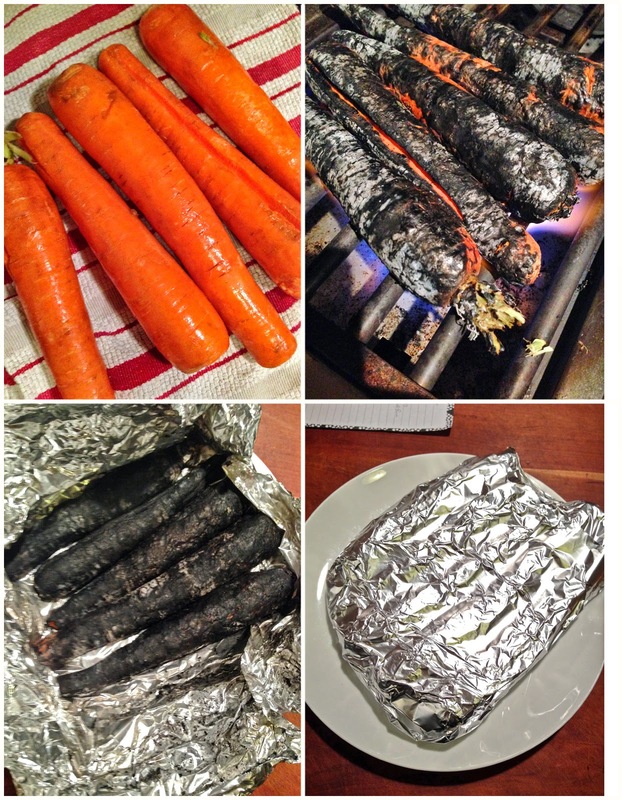 Once they are sufficiently blackened, remove them and wrap them tightly in aluminum foil. Allow the carried carrots to rest for 15 minutes. They will finish cooking through during that time, and the smoke flavor will infuse throughout. *Look for the carrots that are about as big around as a half-dollar and have very little taper to them. The biggest carrots you can find are what's going to work best here. They shrink slightly during the cooking process, and then you pull off the charred part, so they will be smaller once it comes time to eat.